NORTH VANCOUVER — If only this were a fairy tale, the kind where you could peek a few pages ahead to assure yourself of a happy ending. Instead, Isabela Lima woke up one day in the fall of 2015 to the realization that she was living a nightmare: Her body suddenly frozen, her pain indescribable, and perhaps worst of all, her smile stolen in the midst of her slumber. 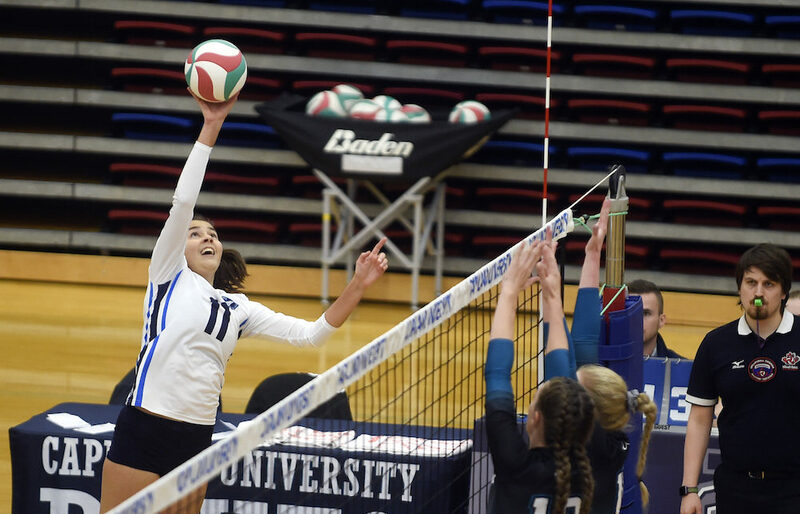 Just over two years ago, as a freshman volleyball player at North Vancouver’s Capilano University, Lima cut her foot on a shell while playing volleyball on a California beach during a preseason exhibition tournament in Santa Barbara. Not too long after her return to North Van, while not certain it was caused by the cut, doctors told the Brazilian native that a virus they could not identify had begun to attack her central nervous system. Isabela Lima had come a long way, from her home in Rio de Janeiro, to get the chance to pursue with equal fervour, both her academic and athletic dreams. Despite being one of the world’s great sporting nations, just such a choice is not available in Brazil. And so in the fall of 2015, she packed her bags for a grand adventure. Little did she know that in only a matter of weeks, she would be fighting for her life as she knew it. On Sept. 26, 2015, Otavio Lima sat at the beside of his sister Isabela at Vancouver General Hospital. Both he and the siblings’ mother, Paula, had flown to be at her side following news of her sudden illness. What she saw was horrific. She had felt a little sick and dizzy towards the end of Capilano’s pre-season road trip to California, but she brushed it off as perhaps a flu, a mild bout of food poisoning or maybe mononucleosis. At first, they thought she was having a heart attack, but blood tests revealed nothing. Then, the day she was admitted to VGH, she had perhaps the toughest day of her entire ordeal. Somehow, through every ounce of strength she could muster, Lima was able to get help and eventually make her way to VGH where she met up with both her mom and brother. Over the next five days, doctors at VGH tried but were unable to diagnosis her condition. They conferred with Lima’s doctors back in Brazil before the decision was made to send her back to a hospital in her home country. 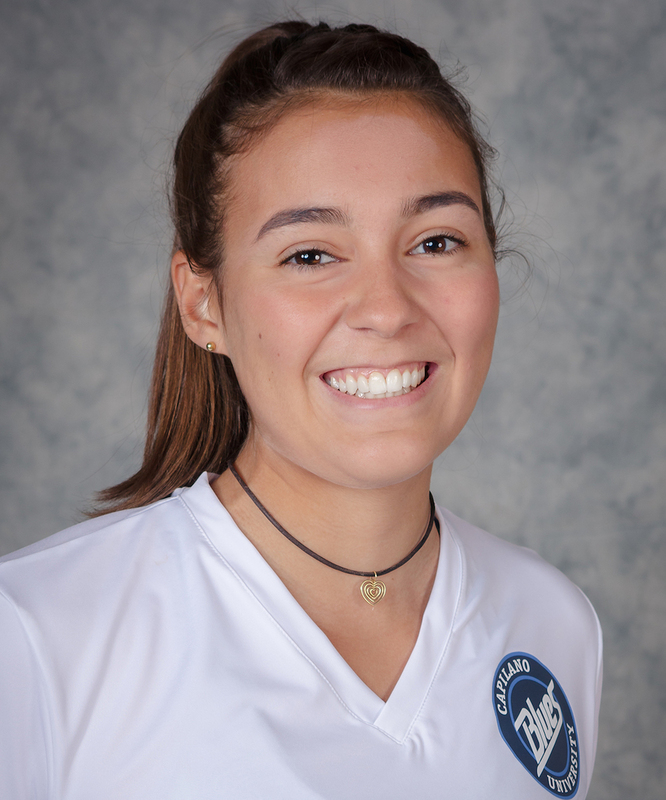 Lima hadn’t spent a lot of time with her new teammates at Capilano, but she very quickly formed a very tight bond with the Blues, and her sudden illness had caught the entire team off guard. Upon her arrival at the hospital in Rio, Lima remembers undergoing a battery of tests over the nine days she was hospitalized. “They did 158 exams, for everything they could possibly think of,” said Lima. Treating her condition as a virus, the doctors began to make headway, and after six days, the tide on her condition finally began to turn. Yet the million dollar question remains unanswered. What she is certain about is that she got her treatment right in the nick of time. While she was hospitalized, doctors told her about a fellow Brazilian athlete, a track star, who had come down with what they believed to be a similar virus while in Africa. Unfortunately in her case, it was left untreated for too long a period of time, and she became a paraplegic. With everything she experienced during her brief North American adventure, no one would have been surprised if Isabela Lima had elected to remain at home in South America. 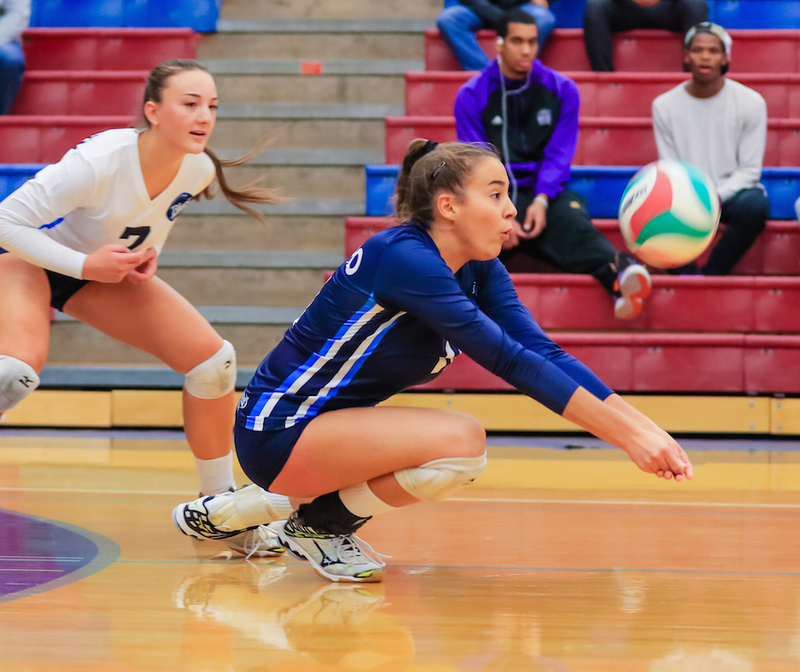 Yet about three months later, while still in the midst of extensive physical therapy, she told her mom that she needed to return back to North Vancouver, at first just for her academics, but with a long-range plan of eventually re-joining the volleyball team. In the summer of 2016, Lima took her first brave steps onto the sand and dabbled in the outdoor season. And during the 2016-17 indoor season, she had actually made her way back into the gym, working independently of the rest of the team under the auspices of the team’s performance advisor Cary Manns. On Sept. 16, two years after she noticed the first symptoms of her struggle, Lima returned to play as the Blues faced Briercrest College in their preseason opener at New Westminster’s Douglas College. 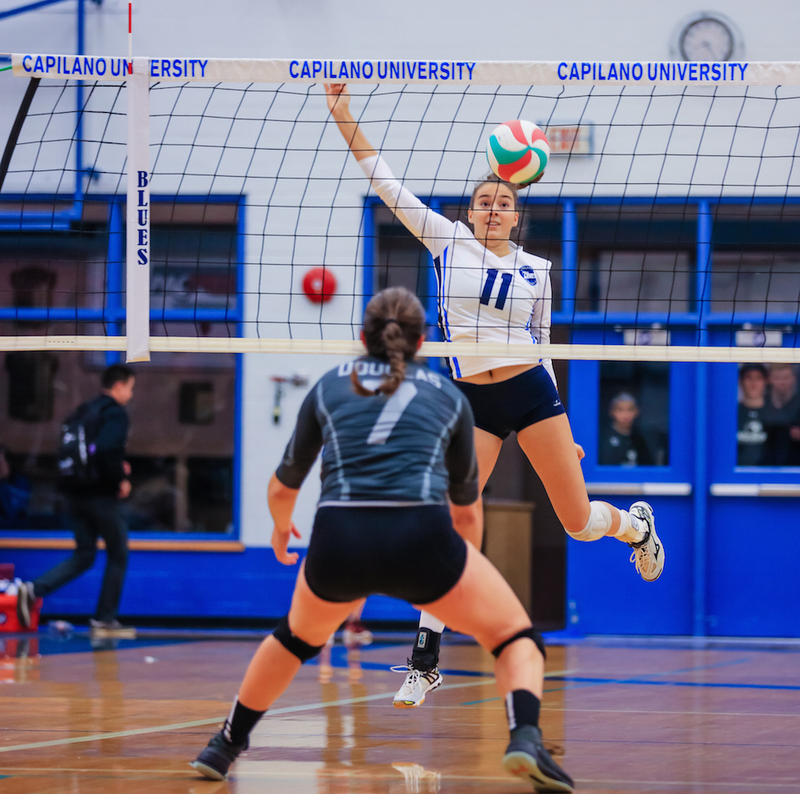 Then just under a month later, on Oct. 12, the left-side attacker who was formerly paralyzed on her own left side, produced a team-high 12 kills and added 11 digs as the Blues went to five-sets to defeat the Fraser Valley Cascades in a PacWest Conference thriller in Abbotsford. Four hours ahead, late on a Saturday night in Rio, her biggest fans exulted in the victory and her performance. 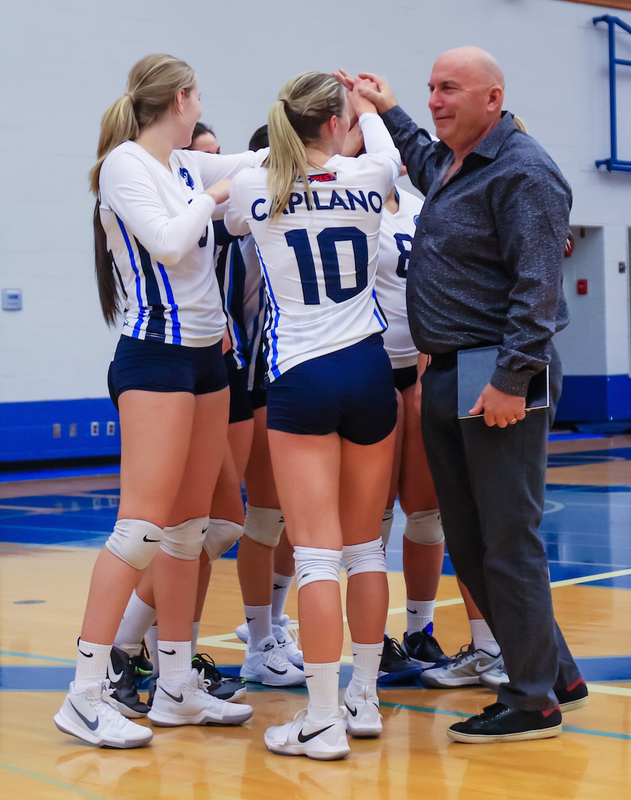 It’s a home weekend for the Capilano Blues (4-6) as the 2017 PacWest conference season reaches its midway point with home games Friday (6 p.m.) and Saturday (1 p.m.) against Victoria’s Camosun College Chargers (0-8). Lima continues to balance her physiotherapy recovery sessions and her work in the classroom with her volleyball career, the one she’s fought so hard to keep. Not only has she recaptured her motor skills to the point where the 5-foot-10 Lima is making things happen as an attacker, she is also playing the libero position, showing more and more each day that her left side is catching up to her right. She also brings the thing that had been stolen in her sleep. And when you ask those closest to her to describe it, they can’t help but flash their own pearly whites as well. Not surprisingly, the depth of her adversity has changed her life forever. And so Lima took a deep breath and then told the child her story. It wasn’t too long ago when Isabela Lima’s life hung in the balance. Would she live? And if she did, would she ever walk again? And if she did, could she ever possibly play volleyball again? If you peeked, you would have discovered that this story indeed ends with a smile. If you’re reading this story or viewing these photographs on any other website other than one belonging to a university athletic department, they have been taken without appropriate permission. In these challenging times, true journalism will survive only through your dedicated support and loyalty. VarsityLetters.ca and all of its exclusive content has been created to serve B.C.’s high school and university sports community with hard work, integrity and respect. Feel free to drop us a line any time at varsitylettersbc@gmail.com. The 2017 girls Tsumura Basketball Invitational at LEC, here’s the full draw! @2017 Varsity Letters | Howard Tsumura | Editorial by MysteryThemes.